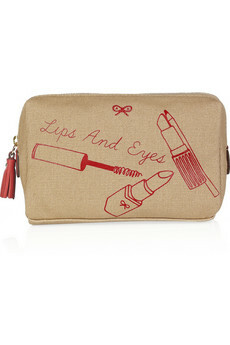 Anya Hindmarch can be found right here at Net-a-Porter and has even more cute bags! I really want that middle one! 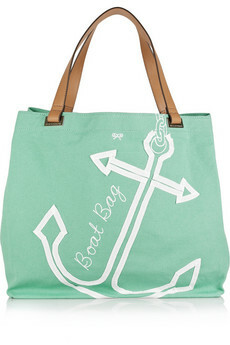 I already have a perfectly good beach bag though so I will probably not be sporting this. Sad face. Again, I can not find an inexpensive, cute tunic either. I want a cheapy one, since I will be tossing it over a swimsuit and it will probably be ruined after that. I might have to resort to hitting up Forever 21 (even though I really don't like that store), but I feel like they never have cute fun colors. I will not be sporting black over the summer (unless its a swimsuit). I also want to invest in a nice watch. I never wear watches, but I feel like if I had a nice one that actually fit, I'd wear it a bunch. I found these two that I like a lot. The first is very reasonable and very inexpensive so I will probably end up with something very similar. 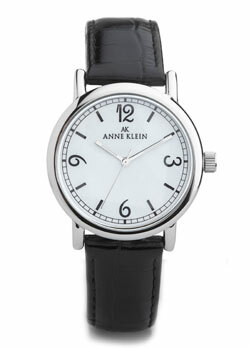 The second, however, is a bit more modern and trendy, but also about $100, which is a bit pricey for a test watch. It has a similar cheaper alternative, but it has a brown face and I love this one so much because it looks like something old time and nautical. So we'll see how that one turns out! There are also a few other little things like a new phone case and a new swimsuit, but those are my main hunts this summer! Is everyone looking forward to their summer?? 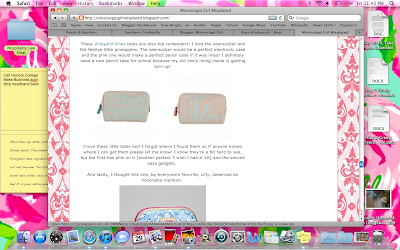 I love those bags!!! You should look at Target for some cute tunics, I have seen a few there! Love those bags!! Yurman's are very classic-i've received several as gifts for special occassions-all the children's size because I have tiny wrists! I am a new follower and there are too many things I love about this post! 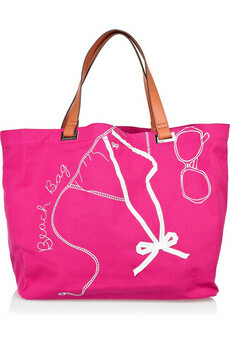 First off, Anya Hindmarch bags are great, I've been wanting one myself for the beach! And since you're doing deb, I have to say that I have been presented two different times and they were both the absolute best nights of my life. 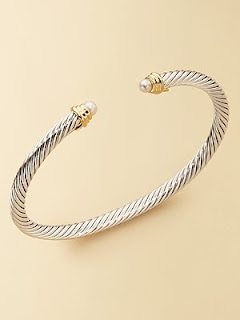 I have two David Yurman bracelets, the pearl one and then one with a gold clasp and I love both of them, I feel like they are classic and never go out of style.